In the previous module, we learned Basic Statistics as used in Six Sigma. We learned that statistics is the language of Six Sigma and saw several real world examples from projects of how statistics can be used to improve operations and processes. In this module, we learn how to use Z Values or the Z Score. It’s a rather obscure topic, but it’ll be helpful as you’ll see. 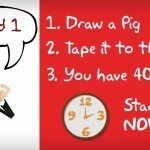 At least some background or rudimentary understanding will help you. In practical terms, Minitab and Excel can help you with many calculations, but knowing what’s happening under the hood may help. 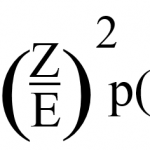 This module is helpful, for example, in answering the question “What is the probability of a defect happening?” Learning how to calculate the Z Score will help you answer that question. 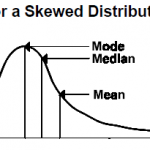 Before you read on, it’ll be helpful to review the section on Distributions. 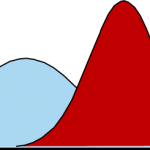 As we learned in the section on Distributions, the normal curve is actually a theoretical one, truly symmetrical about its mean and precisely defined by the mean and the standard deviation. Consequently, if you change either one of these factors, you change the shape of the curve. The area under the theoretical normal curve can be divided into six zones, three on each side of the mean. Each zone is one standard deviation in width. 99.73% of the values will lie between limits set by +3 standard deviations and -3 standard deviations. This has been proven by theory and has been confirmed by practice over history.